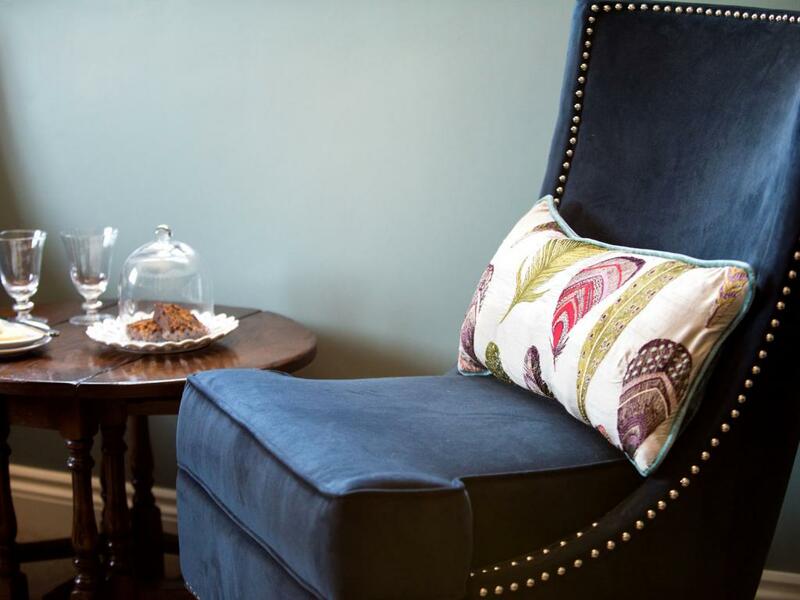 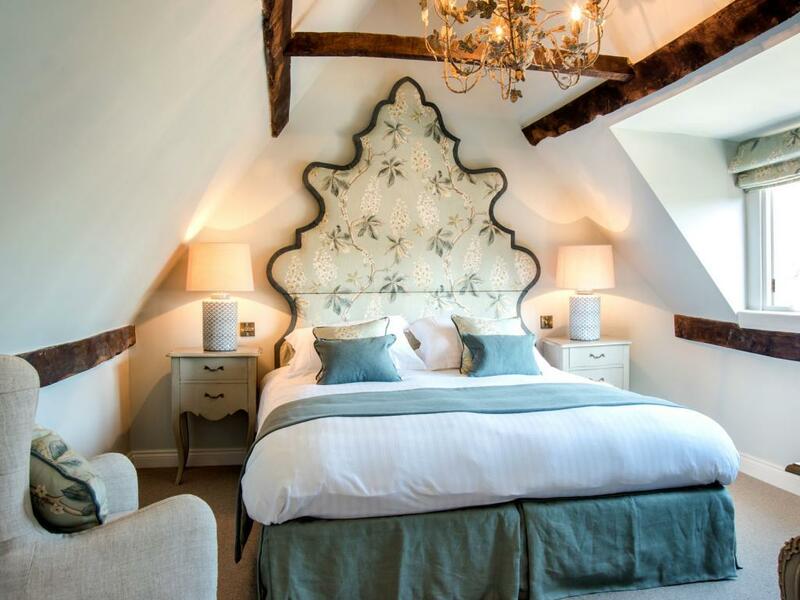 Located on the first floor at the front the townhouse, Kiftsgate overlooks the historic National Trust original Woolmarket building - from which the property derives its name. 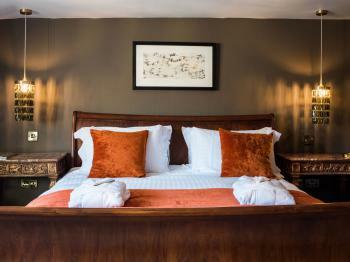 Full of period charm, it features designer fabrics, treasured-antiques, plump pillows, a large comfy king size sleigh bed, in-room entertainment, free wireless internet access, a selection of reading materials, tea & coffee making facilities, Nespresso machine, complimentary bottled water and a generously stocked refreshments tray. 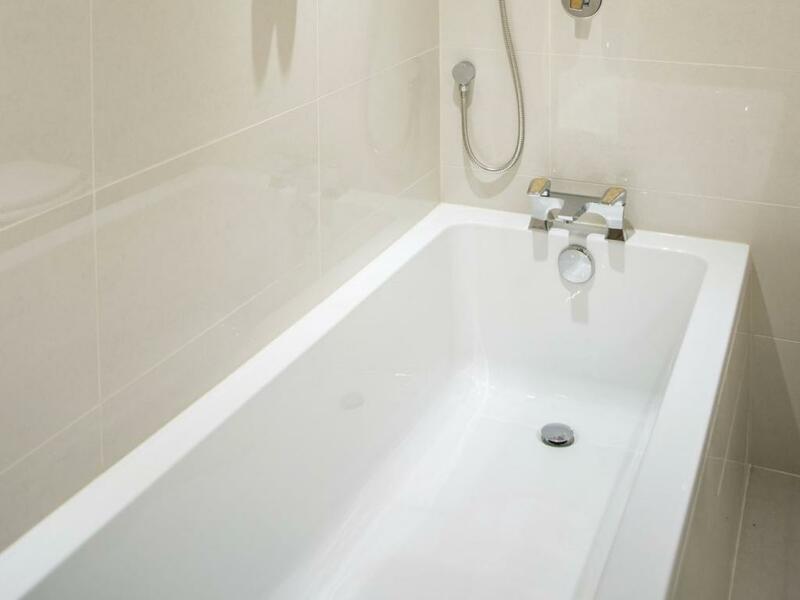 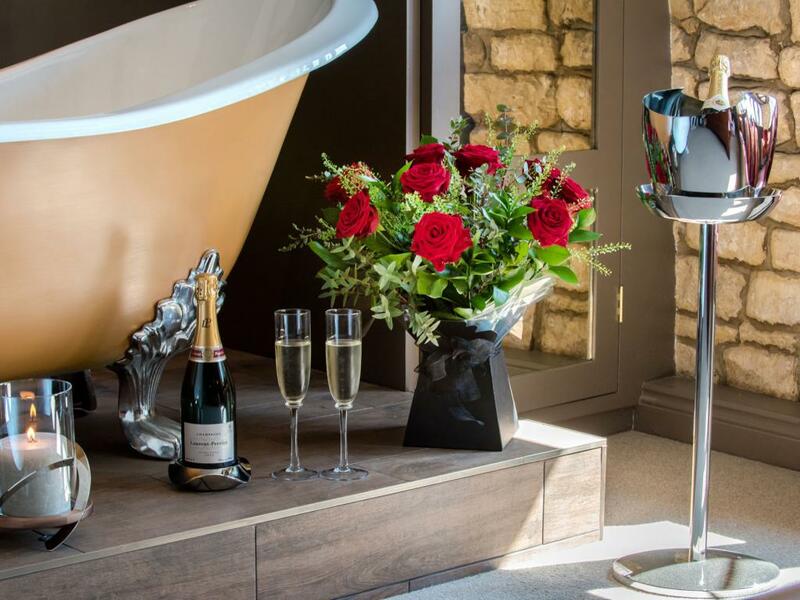 In addition to an in-room feature of a free standing roll-top bath, there is a stylish modern en-suite bathroom, with under-floor heating, fitted to a high standard with a shower, wash stand, toilet and gorgeous-scented eco-friendly products to pamper yourself with. 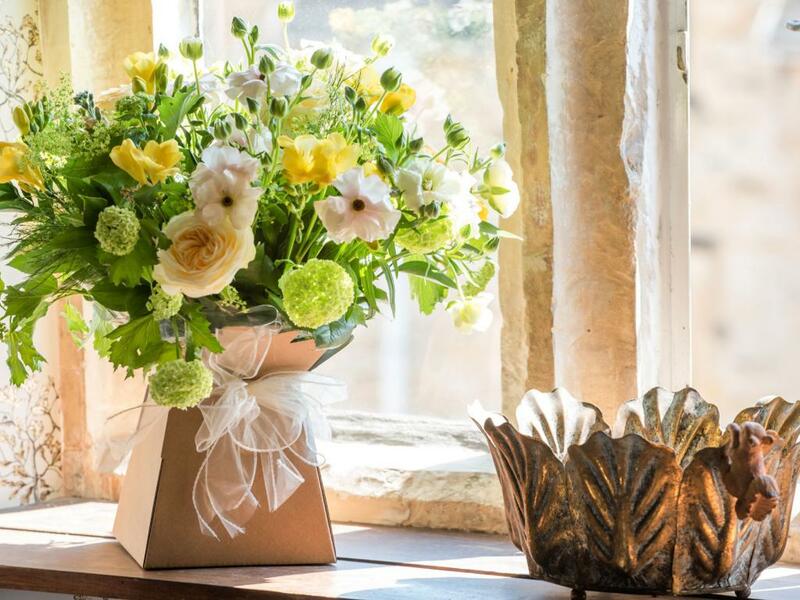 Located on the second floor at the front of the townhouse, Batsford overlooks the historic National Trust original Woolmarket building - from which the property derives its name. 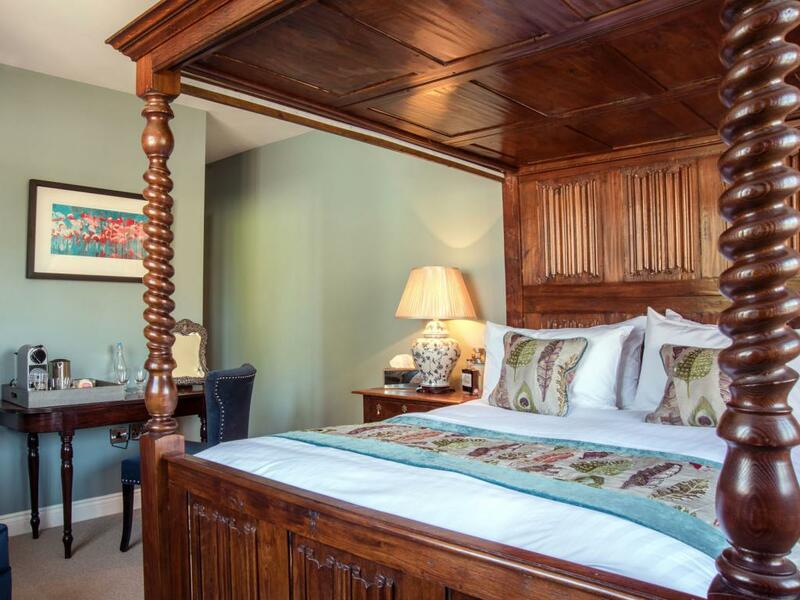 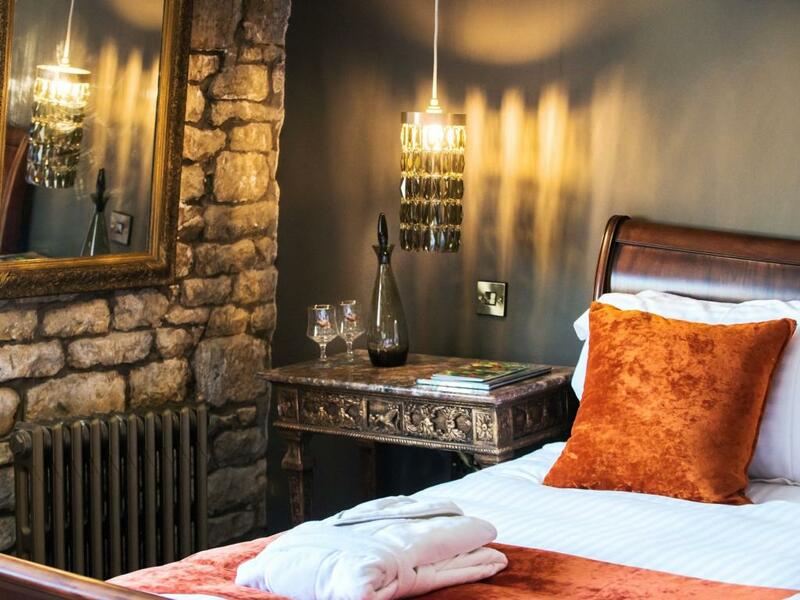 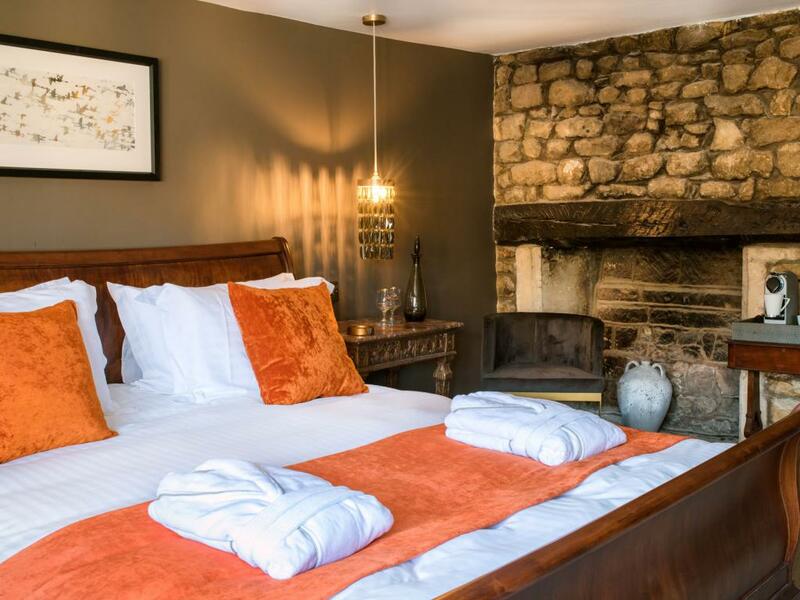 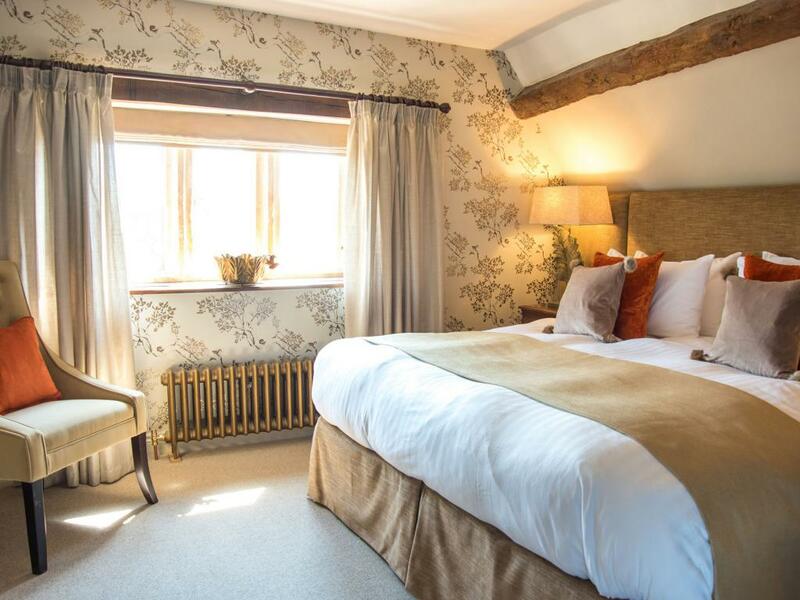 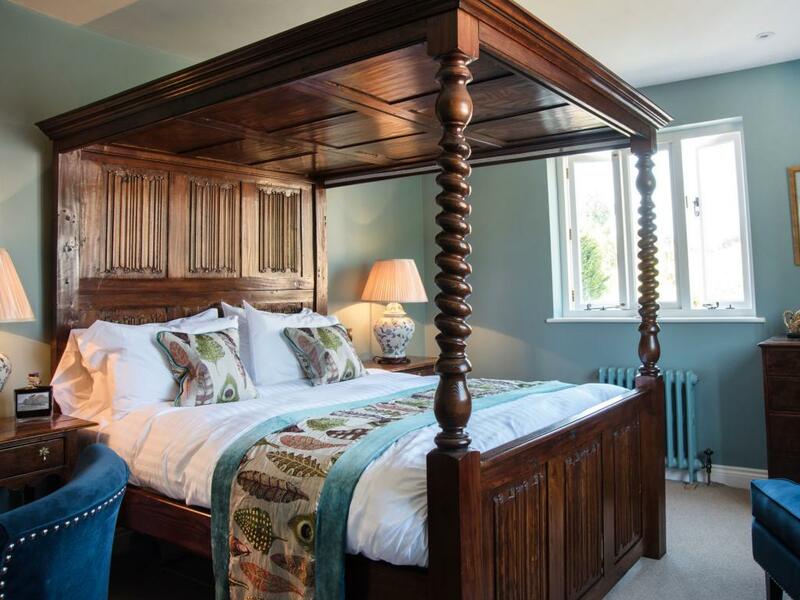 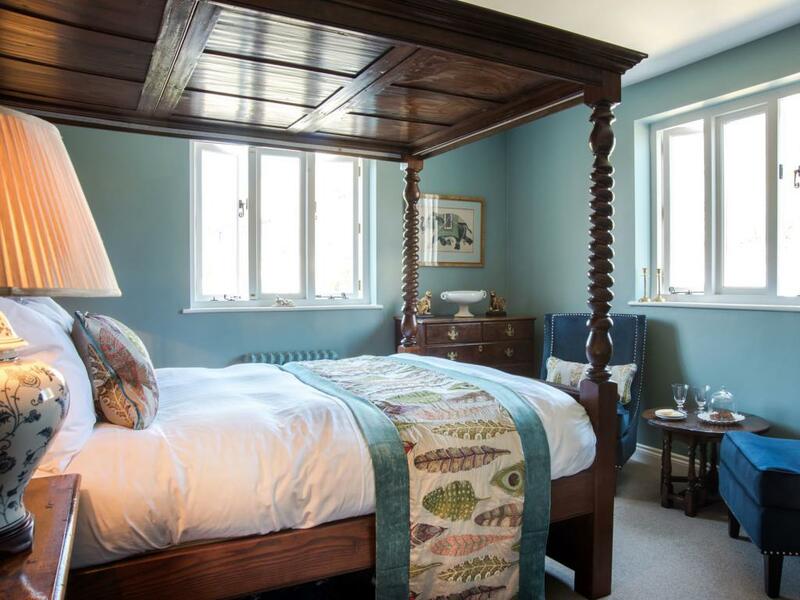 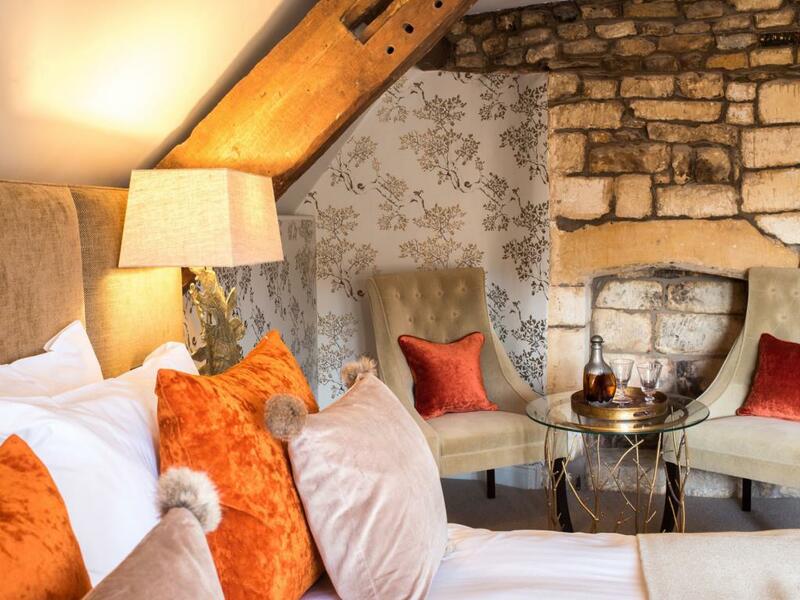 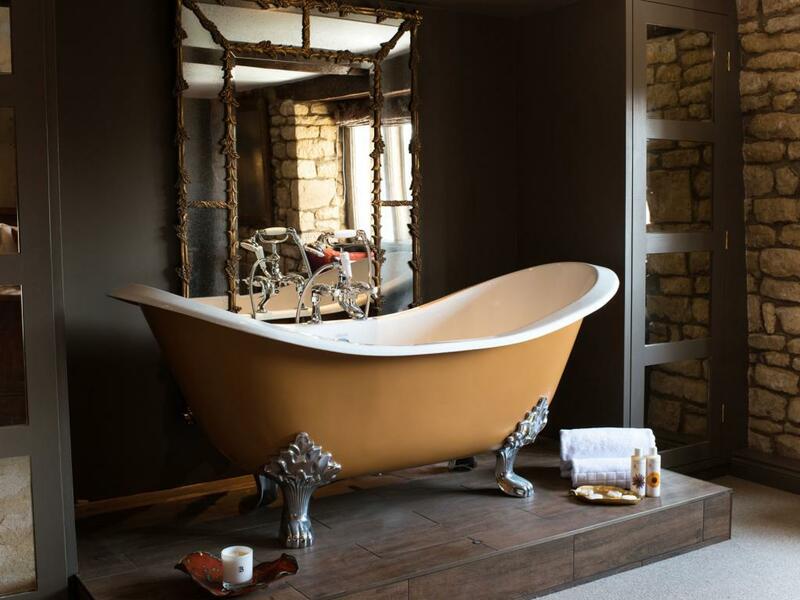 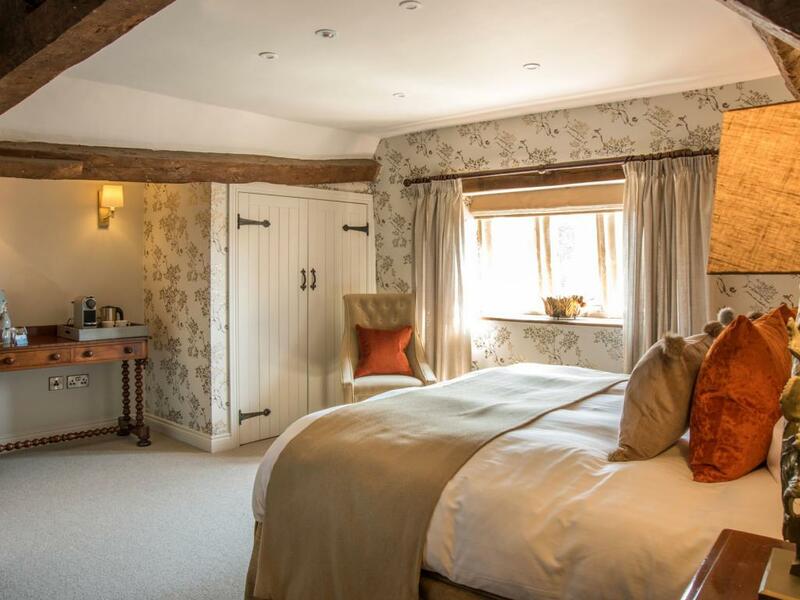 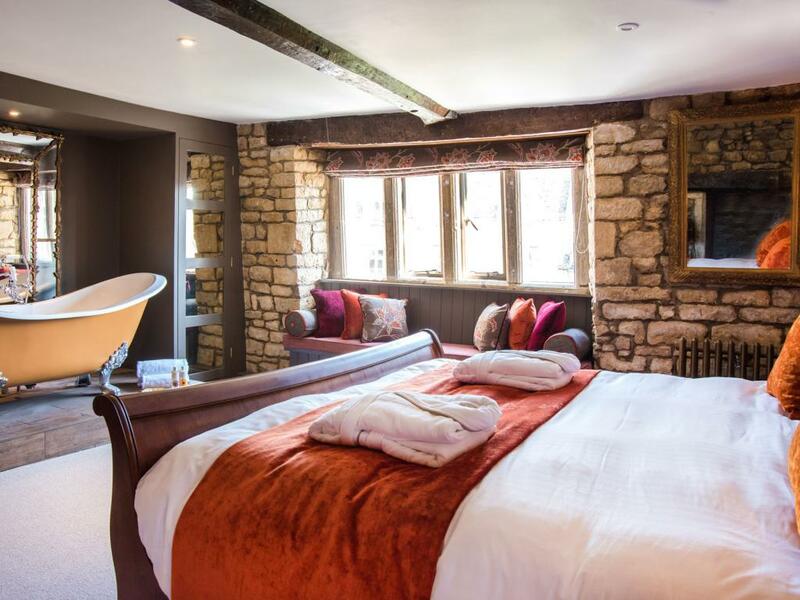 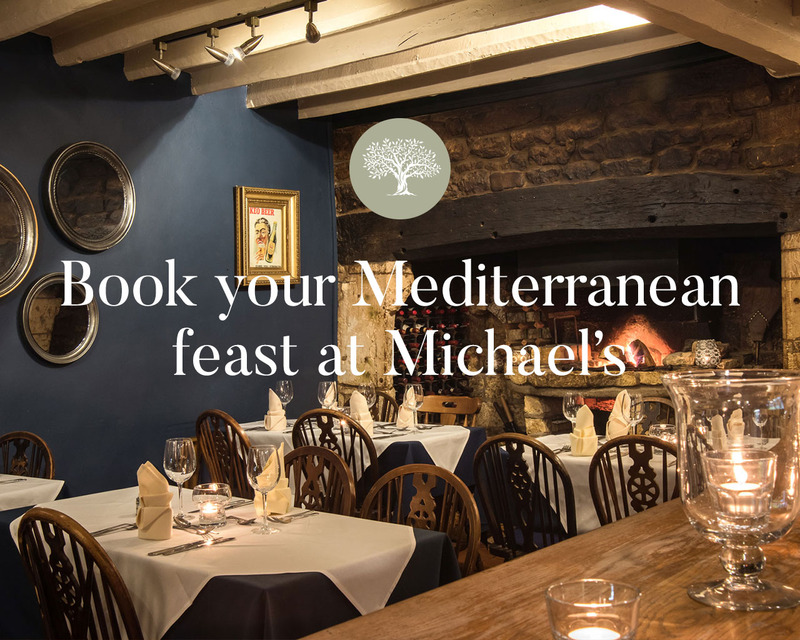 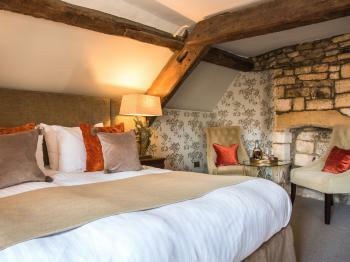 Full of period charm this beautiful room has original exposed beams, Cotswold stone walls and its original Elizabethan fireplace. It features designer fabrics, treasured-antiques, plump pillows, a comfy super king size or twin beds, in-room entertainment, free wireless internet access, a selection of reading materials, tea & coffee making facilities, Nespresso machine, complimentary bottled water and a generously stocked refreshments tray. 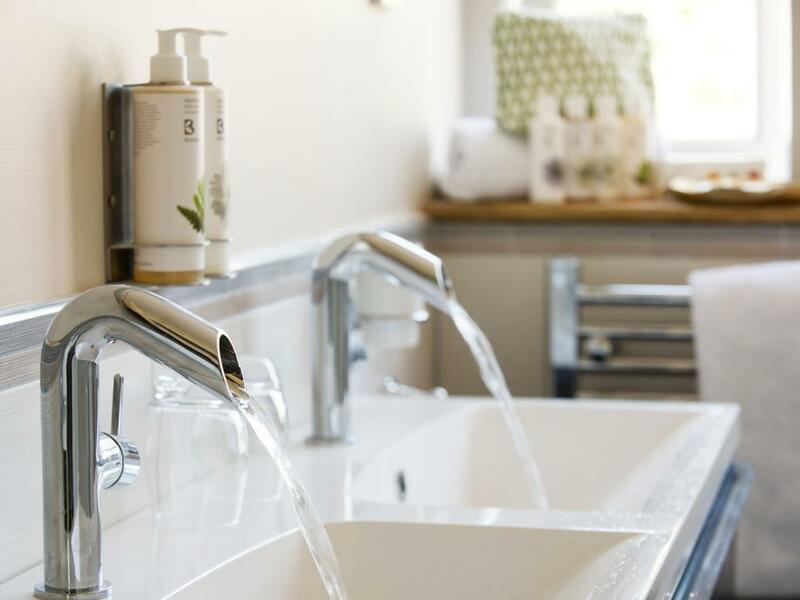 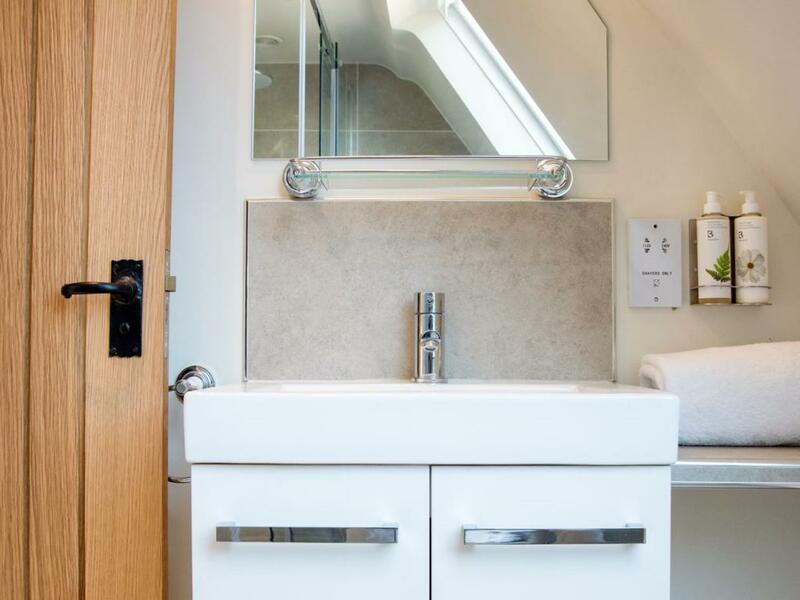 There is a stylish modern en-suite bathroom, with underfloor heating, fitted to a high standard with a bath, shower, wash stand, toilet and gorgeous-scented eco-friendly products to pamper yourself with. 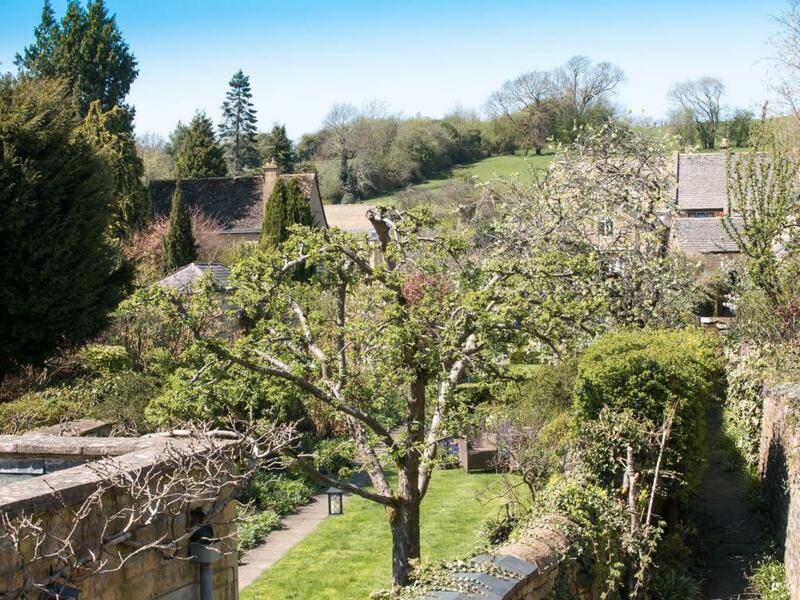 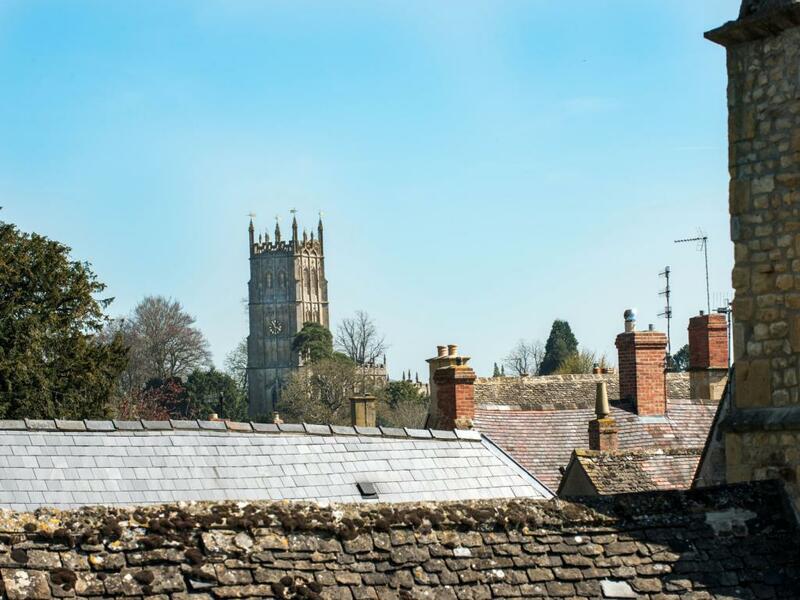 Located on the second floor Hidcote enjoys views of the historic medieval Church across the rooftops of Chipping Campden. 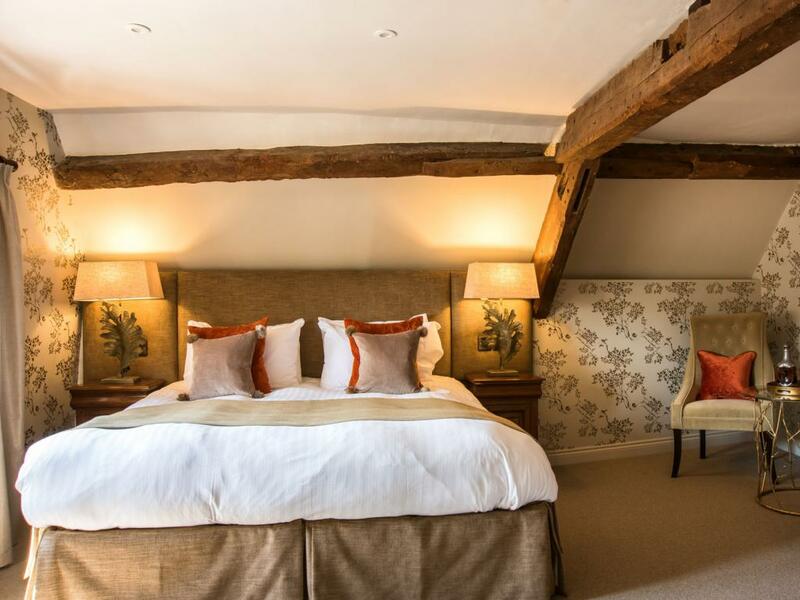 Original exposed beams into the vaulted ceiling offer light and space to the beautiful room. 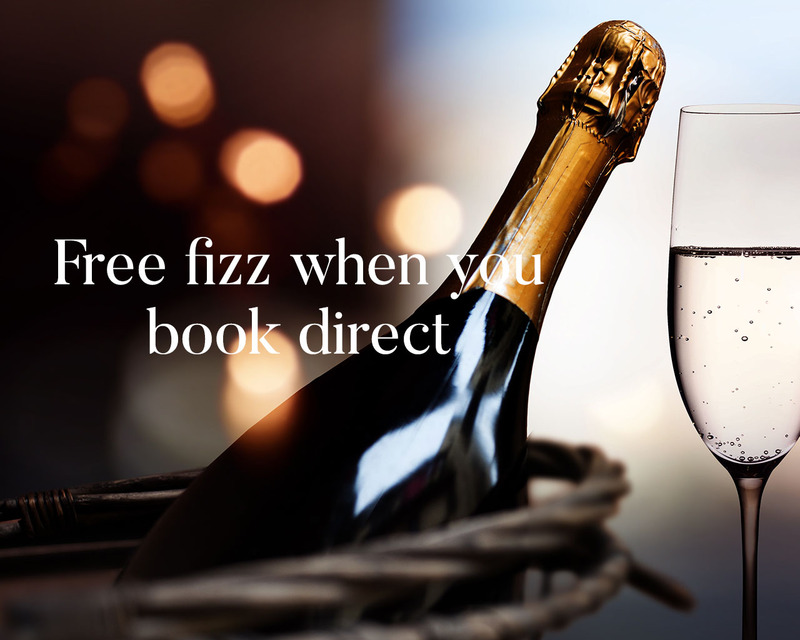 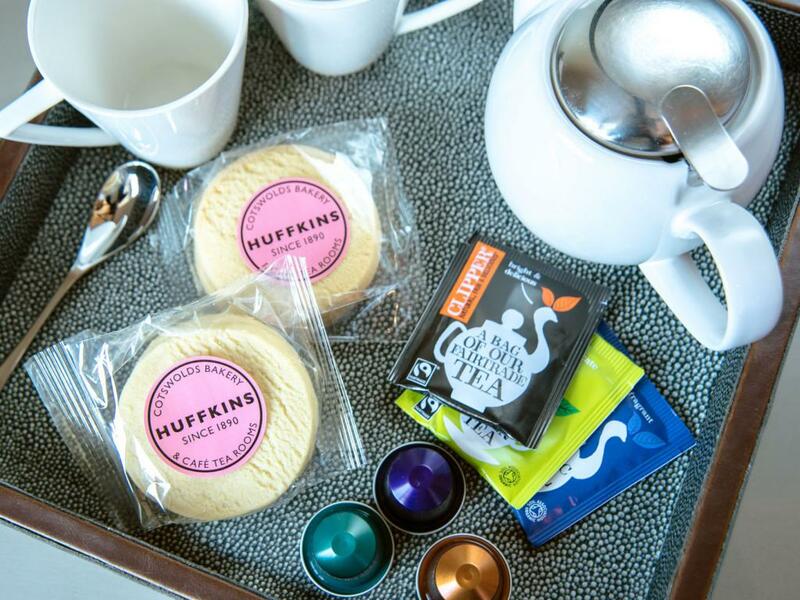 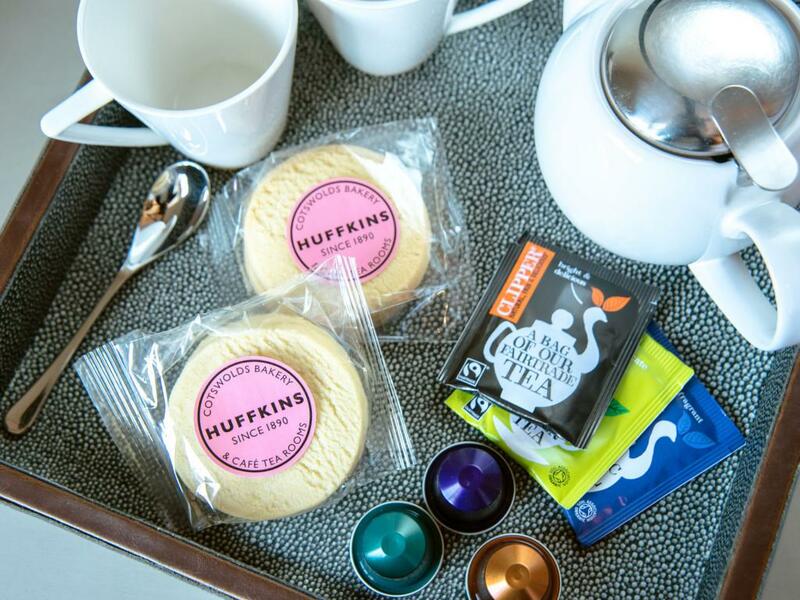 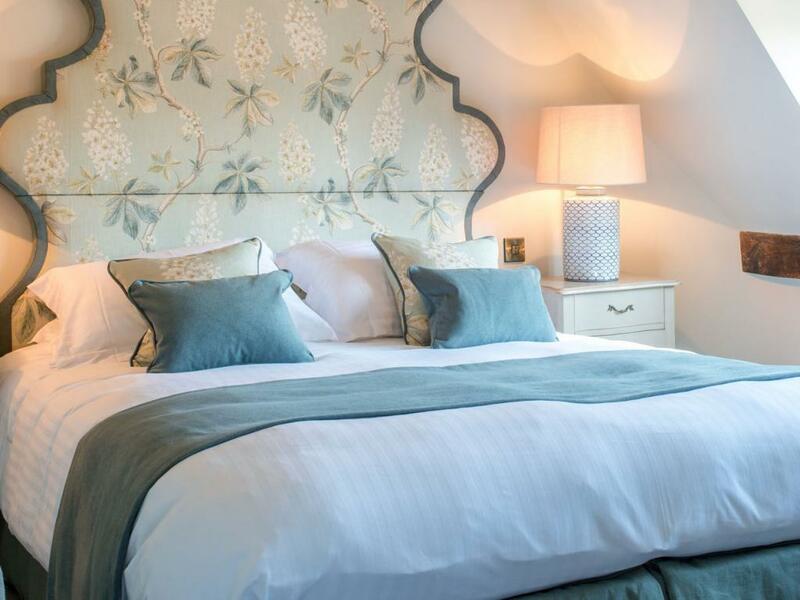 It features designer fabrics, treasured-antiques, plump pillows, a comfy king size or twin beds, in-room entertainment, free wireless internet access, a selection of reading materials, tea & coffee making facilities, Nespresso machine, complimentary bottled water and a generously stocked refreshments tray. 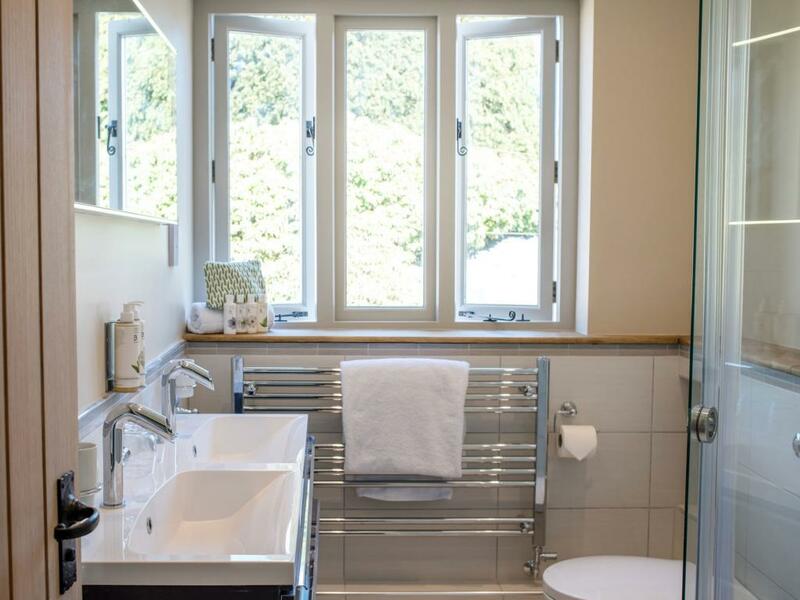 There is a stylish modern en-suite bathroom, with under-floor heating, fitted to a high standard with shower, wash stand, toilet and gorgeous-scented eco-friendly products to pamper yourself with. 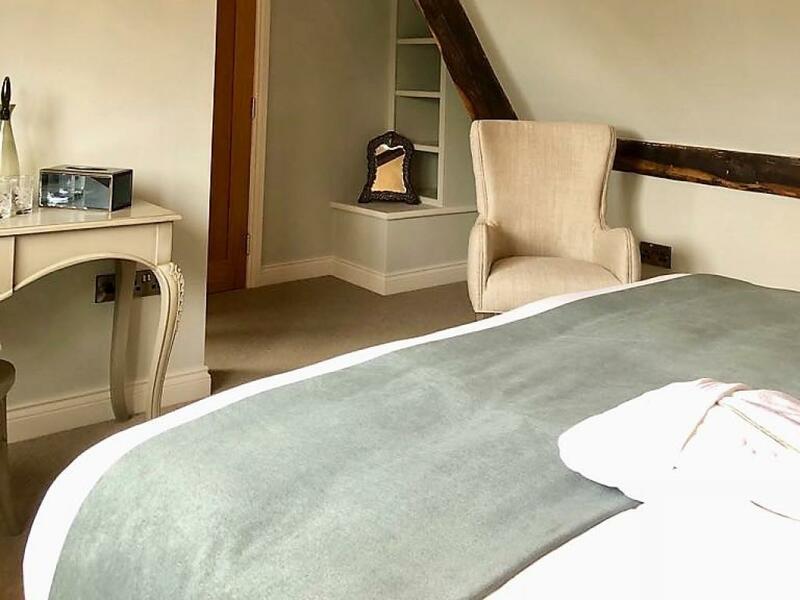 Located on the first floor at the rear of the townhouse, Sezincote overlooks private gardens and enjoys the view of the Cotswolds Hills beyond. 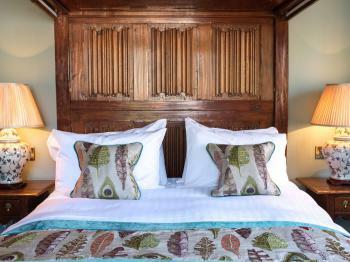 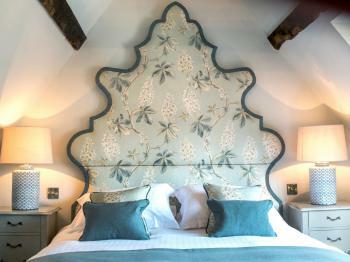 It features designer fabrics, treasured-antiques, plump pillows, a striking four-poster double bed, in-room entertainment, free wireless internet access, a selection of reading materials, tea & coffee making facilities, Nespresso machine, complimentary bottled water and a generously stocked refreshments tray. 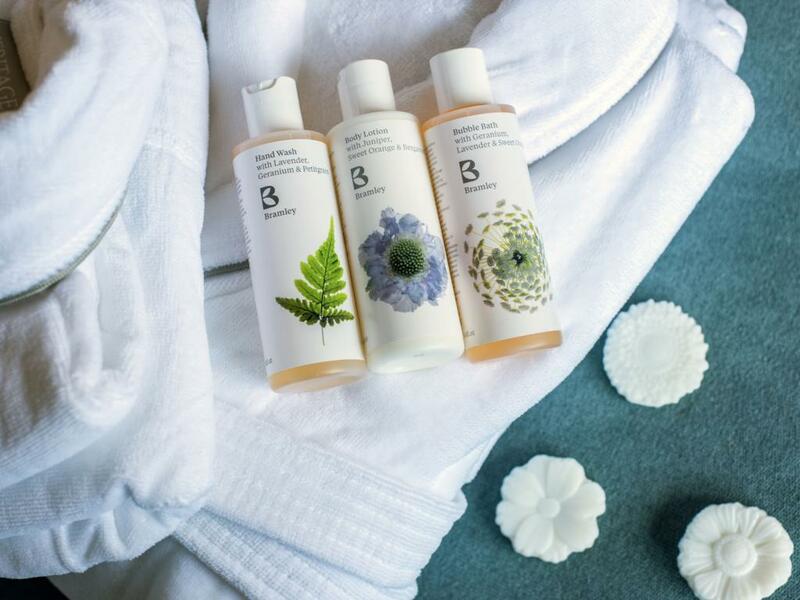 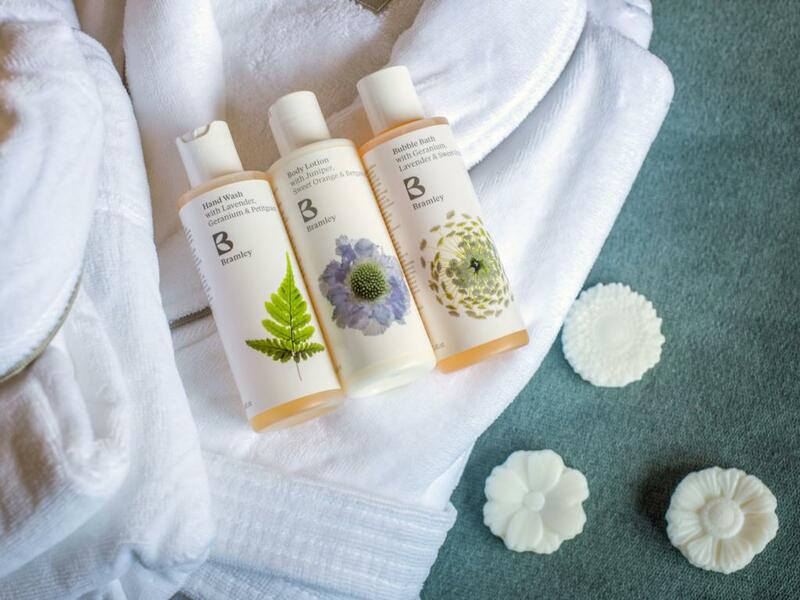 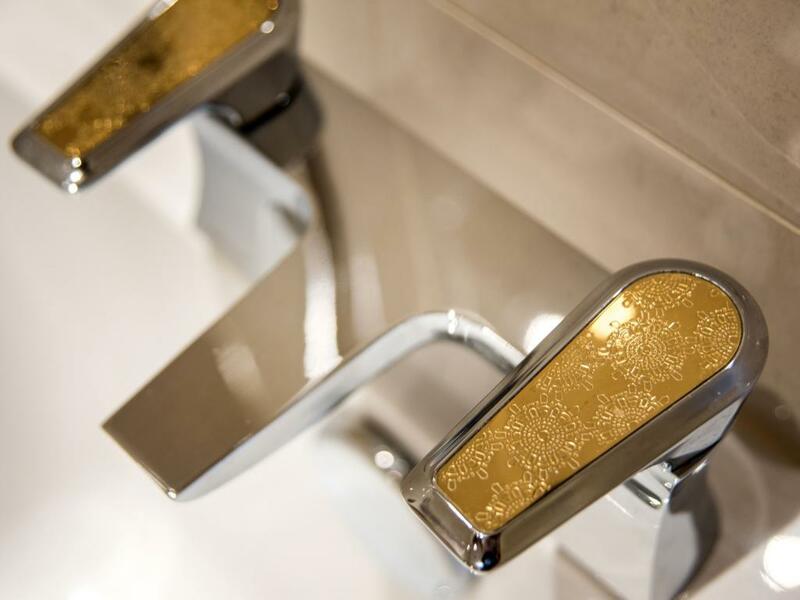 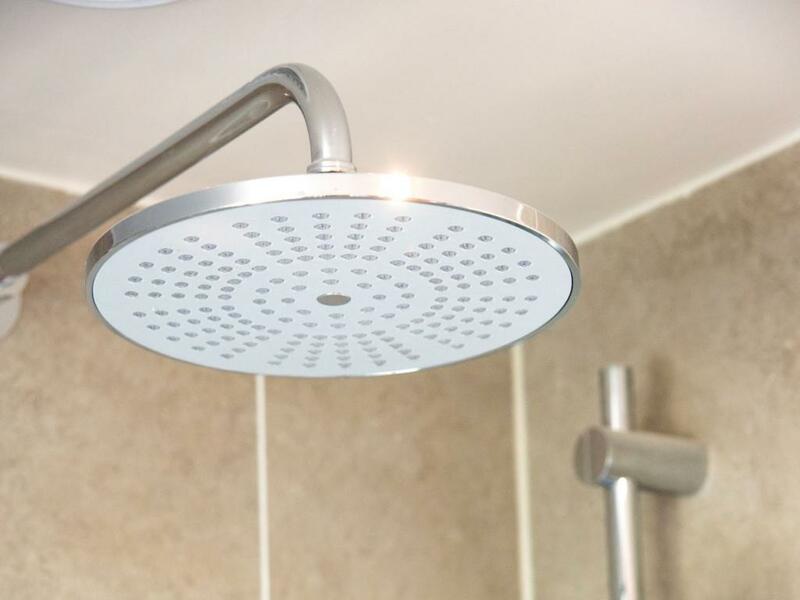 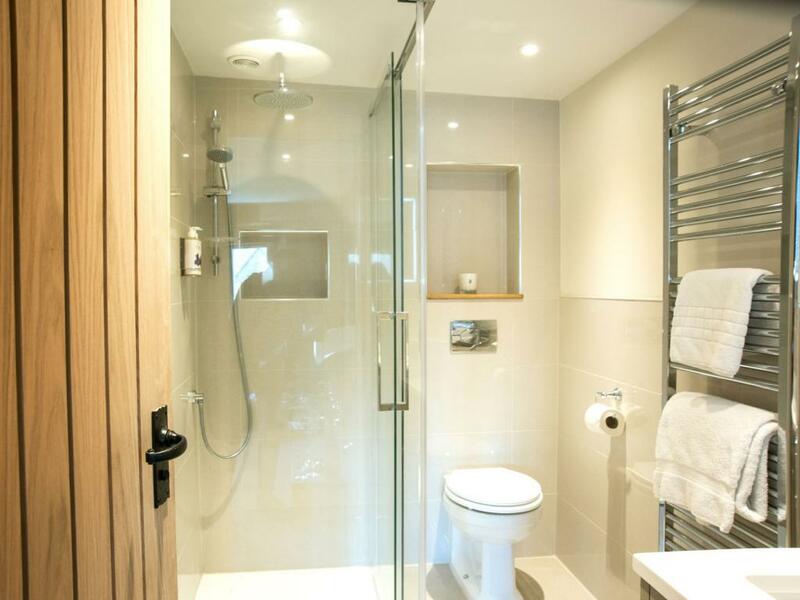 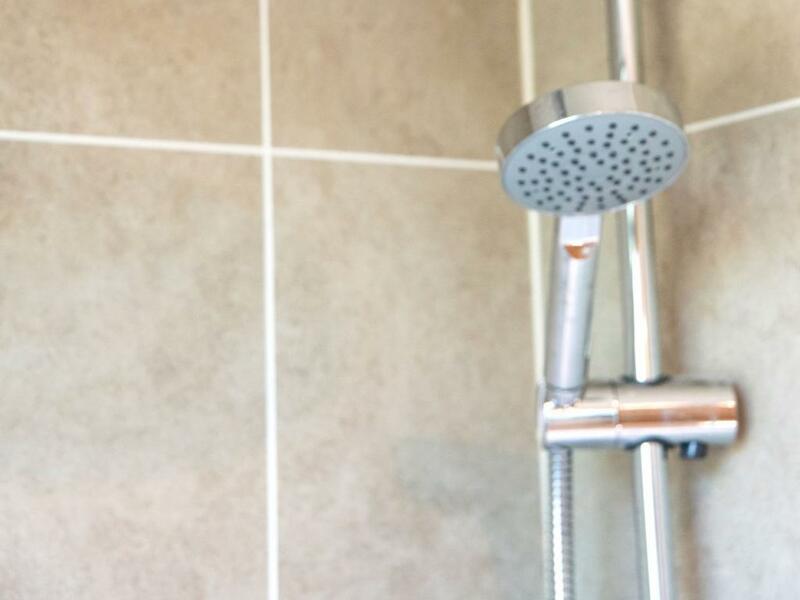 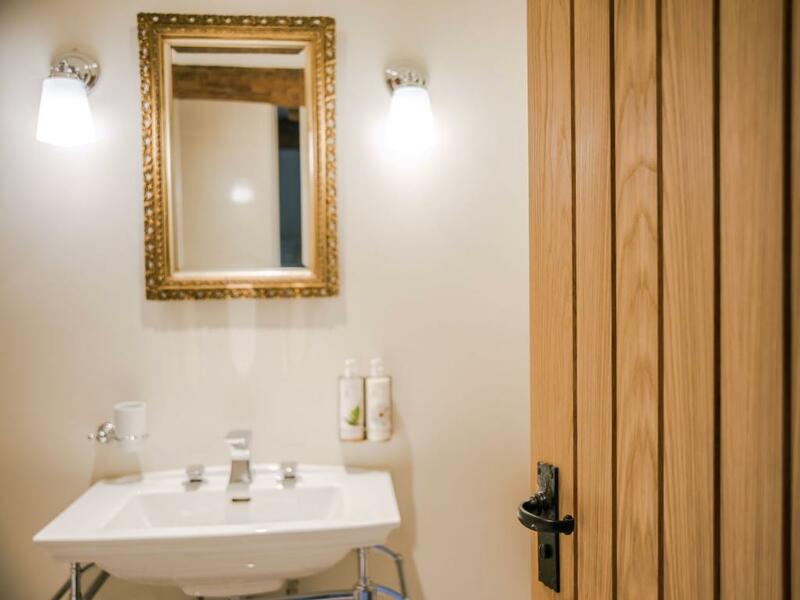 There is a stylish modern en-suite bathroom, with under-floor heating, fitted to a high standard with shower and wash stand, and a separate toilet, along with gorgeous-scented eco-friendly products to pamper yourself with.